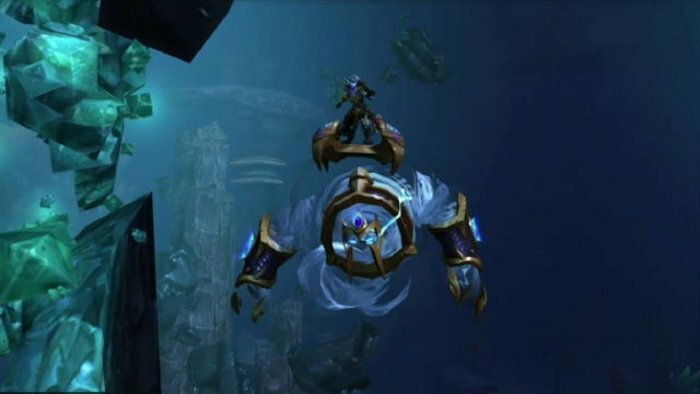 World of Warcraft fans know that class mounts aren’t a new thing, but they are limited to certain classes, like the Paladin, Warlock, Death Knight, and Druid. But what about players who don’t play those classes? Well, it looks like Blizzard will be introducing class mounts to every class in the game. That evens the field for everyone. So, classes who have already had class mounts will be getting new versions. All of the class mounts will have flying, so for example while the Paladin’s mount is a horse, it should still be able to fly. Some of them look much cooler than others, for instance the Shaman’s mount shown here, is an air elemental. It will be great for everyone to have their own mounts. The mounts will be made available to players once they have completed the Broken Shore/Legionfall questline/Order Hall Campaign, so you will have to work for it. They aren’t just going to give you a free mount after all. These mounts will also be introduced in Patch 7.2 which will also come with a bunch of new features, dungeons, and raids. We don’t have a release date yet, but it’s a patch that players should be eager to see.